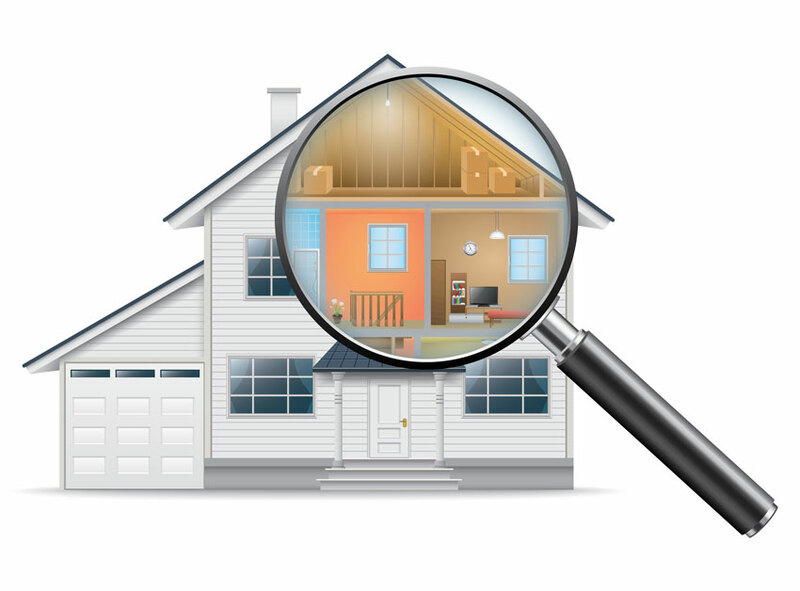 U.S. Home Inspectors offers an array of property inspection services. Each inspection service is documented with a user-friendly inspection report complete with photos and explanations. You will receive your report within 24 hours of the inspection every time, and are always welcome to contact us with additional questions. U.S. Home Inspectors’ main priority is for you to gain value and knowledge from your inspection so that you can proceed with your real estate transaction with clarity. Any component can be ordered as a stand-alone inspection. For instance if you would like an HVAC Inspection, Deck Inspection, or Roof Inspection, U.S. Home Inspectors will meet your needs. It is always a wise idea to have a third party inspector examine new construction at different phases of the project. By conducting a Pre-Concrete Pour, Pre-Drywall, and Pre-Final Walkthrough Construction inspection, you catch issues that will be undetectable once the project is finished. U.S. Home Inspectors is experienced in inspecting commercial properties of all types. Commercial buildings undergo heavy wear and tear and need to be inspected not only during real estate transactions but to keep up with routine maintenance as well. Get the most out of your One-Year Warranty on new construction with an inspection in the 11th month before the warranty expires. Addressing any deficiencies at this stage can save you valuable time and money by submitting them under your warranty. Conducting Annual Home Maintenance Inspections is a concientous way to stay on top of maintenance requirements for components in your home, and avoid deterioration and neglect over the years which can result in expensive repairs and replacements. Are you a loan lender in need of a construction progress or final load inspection? Contact U.S. Home Inspectors to conduct Loan Draw Inspections for new construction, to make sure that the project is on track and that the loan amount is appropriate and being utilized properly. A pre-listing inspection is the first step to take for a smooth and quick sale of your home at the highest potential value. Don’t find yourself surprised by issues the buyer’s inspector finds, that could thwart a transaction. Conduct your due diligence when selling your home, and get the most value possible with a Pre-Listing Inspection. 4 Point Inspections are required by some insurance companies for older homes, and can save you money on your insurance premiums. 4 key components are inspected: HVAC, Plumbing, Electrical Systems, and the Roof. Inspect these key components with a 4 Point Inspection, and you could get a better premium on your insurance. Do you have a “Green Building” which is energy efficient and built out of sustainable materials? When scheduling an inspection for your Eco-Building, choose U.S. Home Inspectors, who understand the specifics of green building materials and methods, and energy efficient appliances and systems. Mold is a terrible fungus that can ruin components of your home and also be hazardous to your health. U.S. Home Inspectors not only offers mold inspections, but if mold is found we also offer mold removal services. If you are the owner of a pool and spa, it is imperative for your safety and health that all of its mechanisms are working properly. U.S. Home Inspectors checks the automatic safety controls, filters, drains, pumps, handrails, ladders, and materials to make sure that you will continue to enjoy your pool and spa for years to come. Infrared Cameras are cutting-edge tools valuable for finding red flags that are hidden to the human eye. By detecting changes in temperature, Infrared Thermal Imaging points out problems including water leaks that cause mold and deterioration, dangerous electrical wiring, and deficiencies in insulation. Make sure that the air in the home you sleep in every night is free of harmful pollutants. U.S. Home Inspectors performs Indoor Air Quality Consulting to evaluate the presence of airborne microbiological contaminants and hazardous chemicals. Contact U.S. Home Inspectors today to schedule your General Home Inspection or specialty service! The most comprehensive inspections in the Greater Los Angeles Area!